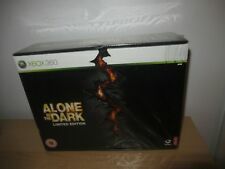 Xbox 360 Alone in The Dark Limited Edition Boxed Set Items PAL UK 2008. Ace Combat 6: Fires of Liberation Xbox 360,. Condition is Very Good. Dispatched with Royal Mail 1st Class Large Letter. Alone in the Dark - Limited Edition - Xbox 360 Figure Soundtrack & Extras Boxed. Condition is Good. Dispatched with eBay delivery – Shutl 2-3 days. Item in photo is the item you will receive. Please see my other listings for more video game collectors editions and merchandise. But only Number Two can challenge Number One. Because of this, the Number Two position is under great competition, and changes hands frequently often before the holder gets a chance to challenge Number One. We are a team of nine based in a 2,500 sq/ft unit in a gated industrial park in South Manchester, UK. Product Summary. Original UK version, complete with case, sleeve and instructions. Disc like new, manual barely used. Format: Microsoft Xbox 360. Alone in the Dark. Release Year: 2008. 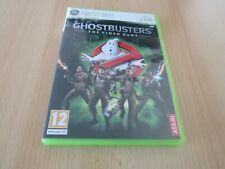 Ghostbusters The Video Game for Xbox 360 "FREE P&P"
GHOSTBUSTERS FOR THE XBOX 360. These are available as an option at checkout. 5 out of 5 stars - Ghostbusters The Video Game for Xbox 360 "FREE P&P"
10 product ratings10 product ratings - Ghostbusters The Video Game for Xbox 360 "FREE P&P"
Ghostbusters The Video Game for Xbox 360 (RF) "FREE P&P"
Race Pro Xbox 360 "FREE UK P&P"
RACE PRO FOR THE XBOX 360. These are available as an option at checkout. 4.5 out of 5 stars - Race Pro Xbox 360 "FREE UK P&P"
3 product ratings3 product ratings - Race Pro Xbox 360 "FREE UK P&P"
Handball 16 for Microsoft Xbox 360 console. GB Advance. Original UK version, complete with case, sleeve and instructions. Disc vgc, case and manual good. Master System. We are a team of nine based in a 2,500 sq/ft unit in a gated industrial park in South Manchester, UK. ALONE IN THE DARK. VERY RARE FUN COLLECTORS ITEM. New and sealed without microsoft strip. Brand New, factory sealed game for XBOX 360 (Pal). Ace Combat 6: Fires of Liberation (Microsoft Xbox 360, 2007) - European Version. Condition is Very Good. Dispatched with Royal Mail 1st Class Large Letter. Legendary for Xbox 360 "FREE UK P&P"
LEGENDARY FOR THE XBOX 360. These are available as an option at checkout. TESTED AND PLAYING ON XBOX 360 CONSOLE. MAY ALSO PLAY ON XBOX ONE CONSOLES. Alone In The Dark (Xbox 360) Complete Game Complete with manual and special edition soundtrack, game disc is clean and fully tested and working. Overall condition is very good. Thanks for looking and please check out my other items - more toys, games, DVDs and collectables for sale. No spoilers here regarding the modifications, just go and find out for yourself. The Chronicles Of Riddick Assault On Dark Athena Xbox 360 "FREE UK P&P"
The Chronicles Of Riddick Assault On Dark Athena Xbox 360 "FREE UK P&P". Condition is Acceptable. Dispatched with Royal Mail. Game is boxed with booklet and disc. NEW & SEALED. It'll be dispatched 2nd class. 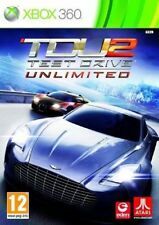 Test drive unlimited 2 for Xbox 360. Disc has 1 or 2 light marks from use but nothing major. Dramatic and Evolving Storyline: Experience a deeply moving story focusing on the enduring struggle between good and evil all while taking place in a dream during the final 3 hours of world-famous music composer Frederic Chopin's life. Alone in the Dark - Limited Edition - Xbox 360 Figure Soundtrack & Extras Boxed. No game Condition is Good. But box has wear see photos Dispatched with Royal Mail Signed For® 2nd Class. Alone In The Dark. Alone in the Dark Features Central Park is hiding a secret. Now the truth can no longer be contained, and paranormal investigator Edward Carnby finds himself inexplicably cast into the eye of the storm as over the course of one apocalyptic night he must uncover the earth-shattering secret behind Central Park. For PAL Format Microsoft Xbox 360. Alone In The Dark.